So much criticism is directed at Star-Lord for his callousness that not many people have stopped to consider the God of Thunder’s big blunder – rather than using Stormbreaker to kill Thanos immediately, Thor plunges the cosmic axe deep into the Mad Titan’s chest, giving him just enough time to activate the stones and reduce half of all life in the universe to dust. While the new weapon has so far proven to be a worthy replacement that could’ve saved everyone, Thor really should’ve aimed for the head. 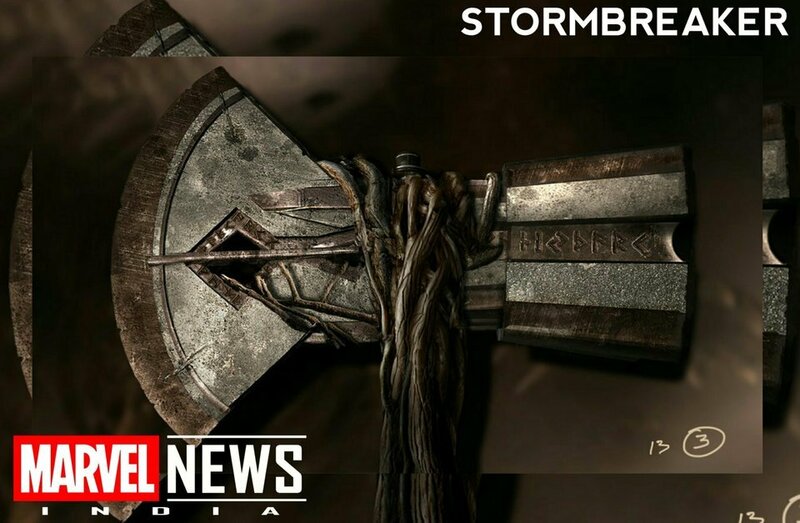 It seems like he may get a shot at redemption in the upcoming Avengers 4, though, as some more leaked concept art has surfaced and it shows off good ol’ Stormbreaker in all its glory. Aside from looking a bit more aged, and the back of it being slightly different from before, it appears pretty much how we expected it to after seeing it in Infinity War. Still, you can’t deny how badass a weapon this is and we can’t wait to see the God of Thunder wielding it again. We just hope he’s learnt from his mistake in the last film. Pretty cool, right? Unfortunately, this is the only piece of concept art we have at the moment but with the first trailer for Avengers 4 said to be here in November, it shouldn’t be too much longer now before we get a good look at all of our heroes in action. Or at least, the ones who remain alive after Thanos’ genocidal finger snap. Yes, the Mad Titan wiped out Spider-Man, Black Panther and more in Infinity War, leaving the original Avengers in a tough spot as they set out to reverse his actions. We’ve no doubt that they’ll be able to bring their friends back throughout the course of the film, but how exactly they’ll go about doing so is the real question.